Two days ago, a chirpy vice president of Sierra Leone Sam Sumana, who is in self-imposed Ebola quarantine, was telling the world that he was running Sierra Leone – a country with a population of six million people and over 26 ministers via his laptop from his residence, as he deputised for the president who was away in Europe. 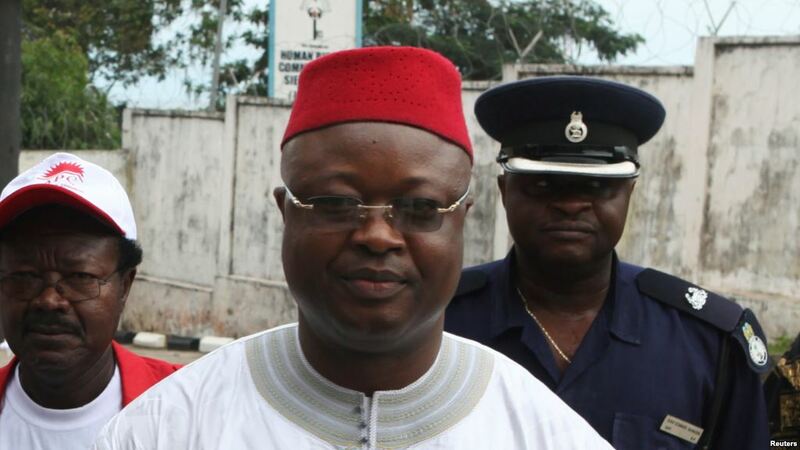 Today, however, report from Freetown says that Sam Sumana has been kicked out of the ruling party. Although constitutionally he continues as vice president, he cannot be summarily stripped from his vice presidency, except parliament passes an impeachment vote, based on a motion tabled by the ruling APC party. According to ruling party officials, Sam Sumana has been expelled from the APC, following investigations by the party’s National Advisory Committee (NAC) into his conduct, which the party believes to be unacceptable and in breach of party rules. It is understood the NAC have found that Sam Sumana had falsified his graduate qualification he claimed to have received from an institution in the USA, and that he lied about his religious background. Sam Sumana says that he is a Muslim, but the NAC says that he is not. The party also says that he has been responsible for a series of violent attacks against other party members. News of his expulsion comes as sources close to Sam Sumana confirm that the vice president is putting plans together to establish and register his own political party, which could become the most formidable political power block to emerge from the district of Kono in the country’s history. Kono is one of the poorest and most deprived districts in the country, despite having some of the most lucrative diamond mines that have contributed significantly to Sierra Leone’s GDP. No party in the political history of Sierra Leone has been able to win a majority at parliamentary elections, without winning majority seats in Kono district. And it is for this reason that successive presidents have prioritised the wooing of the Konos to ensure victory at the polls. But the political marriage between vice president Sam Sumana and president Ernest Bai Koroma was not one made in heaven. It was a marriage of convenience. It is believed that Sam Sumana contributed over $250,000 towards Ernest Bai Koroma’s 2007 election campaign fund and was responsible for leveraging Kono votes, which led to an electoral pact between the two – with Sam Sumana appointed as Koroma’s presidential running mate. Sam Sumana was never recognised by the grassroots rank and file of the ruling party as one of theirs. He was always regarded as an outsider – a political opportunist who bought his way to the top of the party’s echelon. And once in the seat of power, it was obvious that forces within the ruling party and close to president Koroma will quickly begin to sharpen their knifes and engineer the process of unseating the vice president. A few weeks ago, vice president Sam Sumana’s request for annual leave to travel abroad, was outrightly rejected by president Koroma, in a letter that was made public, and aimed at embarrassing the vice president. Soon after the start of the Ebola virus, president Koroma took steps to strip vice president Sam Sumana of key duties, which could have raised his profile in the national fight against the disease. As chairman of the country’s office of national security, Sam Sumana took the initiative to establish a national Ebola crisis response strategy, but president Koroma quickly stepped in and took control of micro-managing the crisis himself – but failed miserably in stopping the virus. By effectively sidelining his vice president, Sam Sumana was quietly demoted to backroom duties, where he was hardly seen and definitely not heard by the public. But as the potholes within the party turned into deep craters and the volcano began to boil – further opening up serious divisions within, senior party grandees, such as Alpha Kanu, I.B. 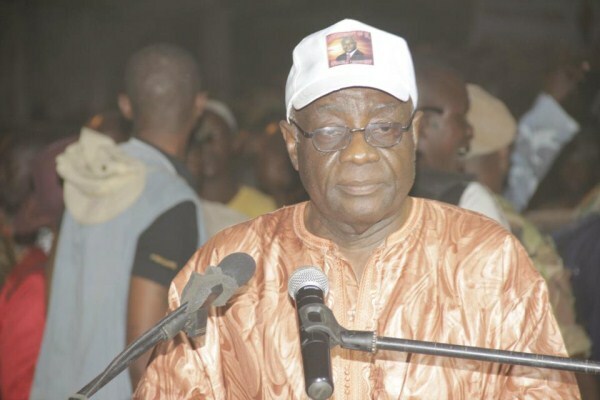 Kargbo (Photo), and several potential leaders of the ruling APC party – waiting to take over from Koroma, are now poised to take control of the party. APC tribalism, which many political observers believed to have been suppressed by national political realism, is now said to have reared its ugly and nasty head once again, as the power struggle for the leadership of the party takes centre stage. But is vice president Sam Sumana himself, his own worst enemy? 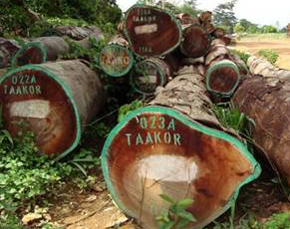 In a corruption scandal named by the Sierra Leone Telegraph as the ‘Timbergate’ saga in 2012, the vice president was implicated in an undercover TV documentary by Al – Jazeera, showing the apparent involvement of the vice president and a cohort of his business partners, unlawfully scheming to grant licence for the export of timber from the country, in return for large sums of money. One of the accused – Momoh Conteh, who has been recently appointed as the chairman of the country’s telecommunications commission, was indicted by the country’s Anti-Corruption Commission, but shockingly acquitted by the courts for lack of sufficient evidence. Despite calls for the impeachment or resignation of the vice president, president Koroma doggedly honoured the political pact agreed with the vice president in 2007. 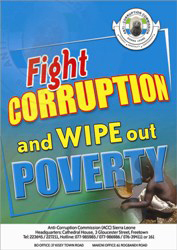 In 2012 also, other allegations of serious fraud, committed by the vice president – Sam Sumana, in the period leading up to the 2007 elections and his appointment by president Koroma as vice president began to surface. “My relationship with Sam began about two years before the civil strife in your country ended. He came into my office one day to discuss the possibility of helping us in the diamond business. At that time he was a parking attendant in a Minneapolis parking lot, an honest job, but evidently not worthy of mentioning in his political biography. Sam and I immediately became what I would consider friends and soon we were planning a major diamond mining operation that would be ready to hit the ground running when the war was over. “With the financial backing of an extremely successful Minneapolis businessman, my diamond expertise and Sam’s connection to Sierra Leone, we began a company called United Diamond Mining Co. (A Minnesota Corporation). “Our financier, Mr. Dave Kloeber purchased and shipped the necessary heavy equipment to begin mining in the Kono District where Sam’s father had been a well-respected Chief. When Sam first got to Sierra Leone, we were pleased to learn that he had helped the United Nations build roads using our equipment. He set up our operation and employed and empowered many citizens of the Kono district by providing jobs at a good wage and providing health care and other necessities to help the people in the area. “The next time Sam called, he told Mr. Kloeber to send some containers of clothing for Sam to sell in order to maintain and fuel the mining operation. Mr. Kloeber complied and sent $300,000 worth of clothing to Sierra Leone which Sam took possession of and allegedly sold. Once again, there was no communication and no receipt of diamonds. “It became obvious to us that he had used our money to secure his political future, as well as that of your president. When a run-off election became necessary, Sam and Mr. Koroma once again turned to us for a “loan” of $34,000.00 to pay for the run-off. These were very serious allegations made against the second most powerful office in Sierra Leone, and the response of president Koroma’s government was swift, though muddled. A press statement issued on 22 July 2012 by the minister of information and communication, on behalf of both presidents Koroma and Sam Sumana, denying the accusations and lampooning the American businessmen as conmen, was published by the government. “A strange and extremely unclear article written by one Mark O. Heiligman in a futile effort to discredit President Ernest Bai Koroma and Vice President Sam Sumana of Sierra Leone on the eve of Presidential, Parliamentary and local elections has been described by government sources as a macabre activity to win cheap political point by the totally hapless opposition. “Mark O. Heiligman in his article on “The New People” online clearly utilizes untruth and discourteous language to suggest that President Ernest Bai Koroma was a party to the corporate effort of Dave Kloeber and Vice President to mine and export diamonds to the United States. “Mark Heiligman in exhibiting a sense of dishonesty deliberately refused to inform his readers that the corporate activity in which he and Dave Kloeber were involved was a transaction that took place between 2000 and 2003, well before President Ernest Bai Koroma and Vice President Sam Sumana were elected into office. 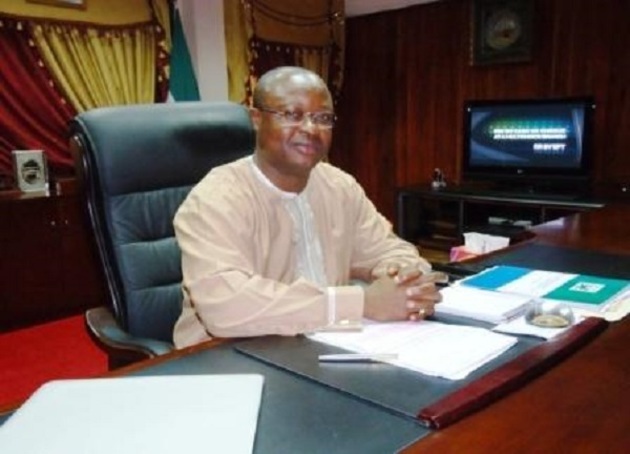 “The Vice President, Sam Sumana who takes great exception to the manner in which the President has been brought into Mark Heiligman’s destructive diatribe has stated authoritatively that President Ernest Bai Koroma had no business transaction with either Mark or Dave and he also stated that the President has never set eyes on them. “The article itself, written in a most unprofessional manner, clearly suggests that Mark Heiligman has deliberately attempted to rope-in President Ernest Bai Koroma to make it appear that the President was part of the diamond transactions involving Vice Sam Sumana and his erstwhile business colleagues. “What turned out to be the most dishonest and unacceptable presentation is the suggestion by Mark Heiligman that he used a mere USD 32,000 to bankroll an entire presidential election in Sierra Leone. Furthermore, the dishonesty of Mark Heiligman is exhibited in his own acceptance that he is targeting President Ernest Bai Koroma because he expected him to have taken an action against his Vice President. “The use of foul language to describe the president of Sierra Leone and to insinuate that the President is corrupt is a totally insufficient argument to prove any point. Reliable sources in the United States have clarified that Mark Heiligman who had a business transaction with Vice President Sam Sumana well before he [VP] assumed office is now totally broke and wallowing in poverty and hence his determination to employ blackmail tactics to extort money from the Government of Sierra Leone. “This type of presentation can only come from a vicious and desperate man who uses ‘default’ as a vehicle to attempt to discredit a highly respected president not only in Sierra Leone but throughout Africa. “Why should anyone attempt to belittle a president who has served as Vice Chairman of the African Union, Chairman of the AU Committee for the Restructuring of the United Nations, and indeed a President who was applauded by his colleague heads of state when he presented himself for a peer review in Addis Ababa, and a President who is ranked twelfth most effective leader in Africa? This attempt to discredit such a president can only be carried out in collaboration with “The New People” online, an opposition publication. “And of course has been recognised as a democrat and a reformer per excellence by the Africa American Institute cannot be a leader whose effort can be wiped out by a diamond hustler such as Mark Heiligman. “That Mark Heiligman is attempting to arm-twist the President of Sierra Leone to pay him money which he does not deserve is one clear lesson that in future, so-called investors in the diamond trade, who think they must bypass the process of doing the trade can easily in desperation turn out to be blackmailers. “That Mark Heiligman and his wife Susan sent truckloads of e-mails to State House to demand money which the president knew nothing about is also a matter of grave concern. But the question must be asked – why are the details of an alleged transaction that took place between 2000 and 2003 are surfacing only now when the President is preparing for a presidential election? “Better still why did Mark Heiligman continue to send E-mails to the President complaining about payments when the transaction can at best be seen a civil matter that had nothing to do with the Executive Arm of Government? “To provide fodder for the opposition to discredit the President during the campaign period. “The bottom-line and the point that needs great emphasis is that Mark Heiligman’s tilted article has not proven that the President of Sierra Leone was a part of the tripartite diamond transaction or was a part of a spider web arrangement that suggested an unpatriotic act. “President Ernest Bai Koroma stands tall as a patriotic and dedicated citizen of Sierra Leone who has not set eyes on either the dishonest accuser, Mark Heiligman or Mr Dave Kloeber, the other partner. Yet, that attempt by the government to at best down-play those allegations, did not go down too well among many Sierra Leoneans. There was widespread call for an investigation by the Anti-Corruption Commission into the veracity of the evidence possessed by the American businessmen, which fell on to deaf ears at the ACC. Both president Koroma and his vice were accused of swindling hundreds of thousands of dollars, and bringing their offices into disrepute. Whether the intention of those American businessmen was to plunder the country’s resources or not, is not the issue. The fact is that both president and vice – president were accused of taking money under false pretenses. It was argued that, the honourable course of action, expected of the president and vice president, realising that they were being courted by rogues, was for them to have passed on the evidence of an attempt to corrupt, over to the police. Sadly, many Sierra Leoneans did believe that the vice president took the money, kept quiet and spent it on election campaigns, which catapulted both men to power at state house. Whatever public relations message the government’s press statement was trying to convey at that time, the fact remains that, the vice president – Sam Sumana appeared to have a case to answer. He took money under false pretenses. 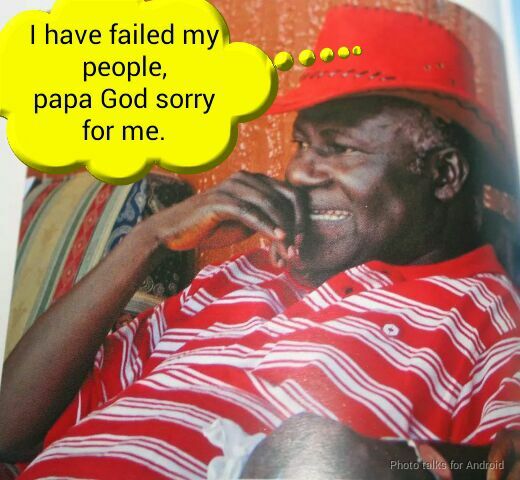 This was wrong and president Koroma was culpable. It matters not whether the vice president had thought he was taking the money from a crook or otherwise. Taking money under false pretense, is plain wrong and unconscionable. But who in 2012 would have thought that in less than three years of the Timbergate corruption scandal and the Mark Heiligman allegations, the ruling APC party would expel the vice president from the party, and now awaiting his fate as VP to be decided by parliament? 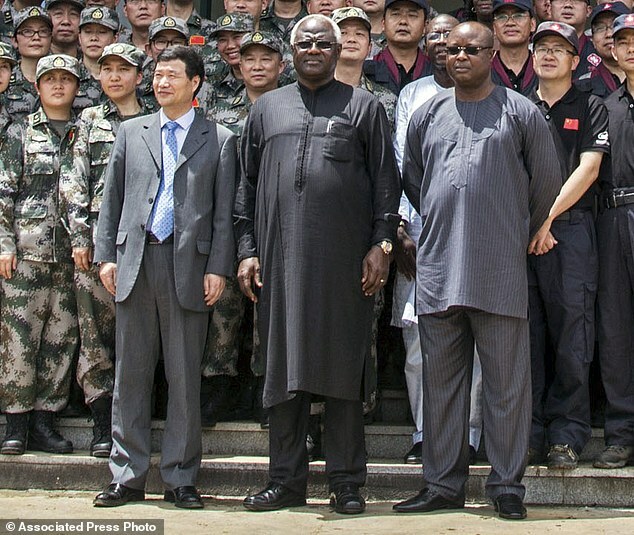 Will vice president Sam Sumana survive this political onslaught, from those he once regarded as comrades in arms? Will he reinvent himself, by the formation of his own political party to contest presidential election in 2017/2018? Will he and his new political party become the kingmakers of the 2017/2018 elections – just as Charles Margai and his PMDC did in 2007? What is certain tonight though is that Sam Sumana first needs to be declared Ebola free in the next fifteen days, as he continues his time at home under self-imposed quarantine (many would say – self-imposed house arrest). All eyes, are now on vice president Sam Sumana. Will he – or will he not? That’s the question. Sierra Leone has been ruled by a cartel all these years. The decent thing for the government to do is to resign. I was born in APC country, Port Loko. I support the APC party. What I refuse to understand and accept is the whacky and irresponsible behavior of party leaders. They ousted Vice President Sam Sumana from the party based on what they characterized as unacceptable conduct. APC party leaders accuse the vice president of falsifying his academic record, as well as question his religious affiliation! Wow! Why now – a few years to the end of the president’s term? Where was the National Advisory Committee (NAC) years ago when this committee was supposed to vet every candidate vying for public office? Why now, a period when Sierra Leone is going through tumultuous times? The nation is still dealing with Ebola and the squandering of Ebola donated funds. As for Mr. Samsuma’s religion – since when did declaring any religion become a crime, and for that matter, a major crime? Do APC party leaders understand the mockery they’re making of our country? 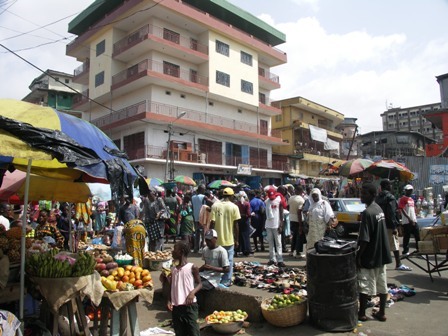 Why has Sierra Leone become a nation in constant chaos? Why create issues where there are none? This perpetual vindictiveness in Sierra Leone is why leaders in the West have not taken our leaders seriously. If anything, the NAC is to blame for its ineptitude, and the president needs to hold the committee’s leadership responsible for such foolishness. Someone needs to tame the egos of party leaders. We hope president will exercise his authority. The Sierra Leone President and the morally bankrupt and corrupt government he leads are a cancer and disgrace to Africa. While the leadership of countries like Mozambique and Namibia (which just last week was named most investor friendly jurisdiction for the mining sector by the Canadian think-tank, the Fraser Institute) are improving governance, the leadership of Sierra Leone is completely impervious to the suffering of its people (as is evidenced by the shameful theft of funds donated for Ebola relief). See the February, 2015 report of the Sierra Leone Auditor-General. The government of Sierra Leone is remarkable even in a continent which struggles with good governance for its blatant and unrelenting corruption which is partially responsible for the recent exodus/collapse of foreign investors in its nascent mining and off shore petroleum industries. The chickens are now coming home to roost. The Sierra Leone leadership is an absolute failure and should be sanctioned by the international community. It is remarkable that the leadership is given a free pass by certain Western governments particularly Great Britain, the largest foreign aid donor to the country. Millions of pounds of taxpayer funded aid is siphoned off by the leadership of the government of Sierra Leone every year and this has been publicly and privately acknowledged by UK Foreign Secretary Phillip Hammond, yet the UK government refuses to concede that Sierra Leone is effectively a failed state governed by a crook and a cabal of thieves who shouid be isolated and shunned by the international community. The hypocrisy of Great Britain on the issue of corruption in Africa is mind boggling. Anti-Corruption legislation seeks to sanction UK companies doing business in Africa while ignoring the rotten, corrupt governments in places like Sierra Leone who demand facilitation payments for transactions large and small. The long suffering people of Sierra Leone deserve much better but until the international community starts putting its proverbial money where its mouth is, morally bankrupt leaders like Ernest Koroma will continue to bleed their people dry and mismanage their countries into the ground. As taxpayers, we must pressure our governments to hold Ernest Koroma, Robert Mugabe and their ilk to account for their crimes once and for all.